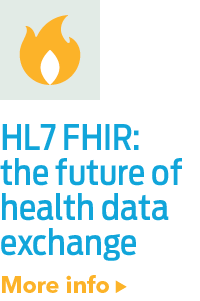 "The (not so) secret sauce in question is the FHIR (pronounced “fire”) interoperability standard that has emerged from the non-profit HL7 organization, and functions as a universal adaptor, allowing some types of clinically-relevant data types to be shared easily and securely. "The broad vision is that the ability to reliably extract select data types from any EHRElectronic Health Record (EHR), as defined in Defining Key Health Information Technology Terms (The National Alliance for Health Information Technology, April 28, 2008): An electronic record of health-related information on an individual that conform... system will allow the development of high quality applications that will be both widely applicable and commercially viable, since they’ll work across all major EHR platforms." 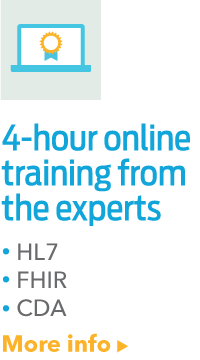 We are happy to be involved with the evolution of the FHIR standard. 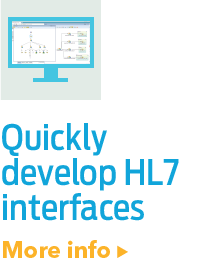 Our founder and CTO Dave Shaver is co-chair of the HL7 FHIR Governance Committee and we have been an active supporter of the standard from the beginning. Download our free FHIR Primer to learn more about this new standard that is changing how health data is exchanged.